"The dancers were absolutely fantastic, really lovely to work with and an amazing performance! The crowd loved it!! I just wanted to say a personal thank you to Huw again for hosting the event, he did a wonderful job and really helped to encourage the audience to dig deep and enter each of the fundraising opportunities." Muscular Dystrophy appointed Kru Talent to provide a recognisable and engaging host to ad lib their Studio 54 Themed Fundraising Event, as well as provide entertainers to stun the guests. 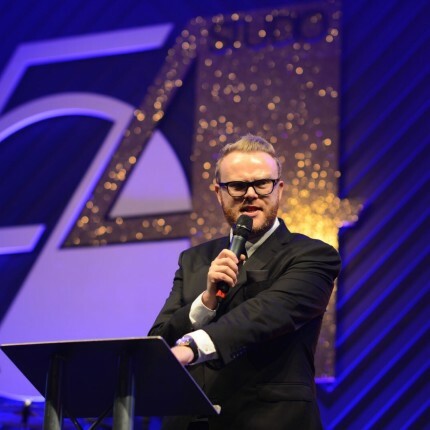 After carefully considering our client’s needs, we booked the legendary Radio DJ Huw Stephens to host the evening. The event took place in the Ballroom at the Hilton Park Lane Hotel and knowing it was a large space; our team made sure the entertainment was peppered throughout the space to engage all the guests. 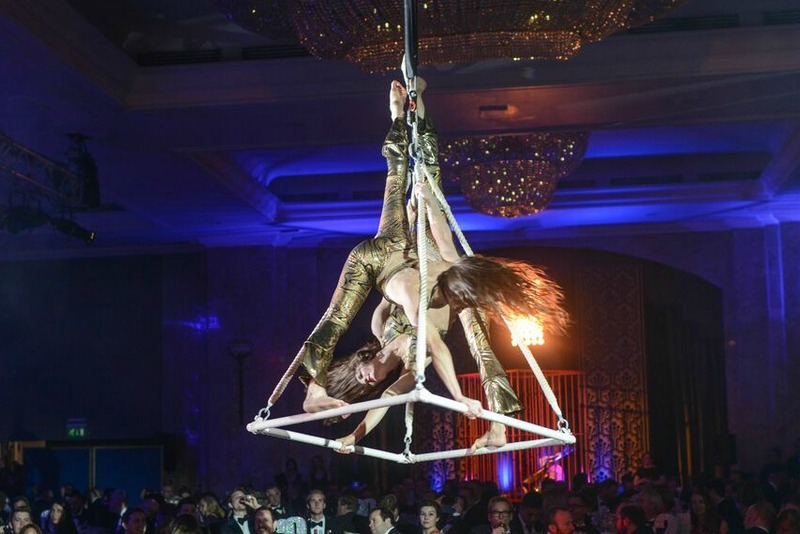 To give the event the wow factor, we created a bespoke show involving two aerialists who performed on a pyramid in the middle of the room, along with two dancers placed in gold cages at either sides of the room.